Mandarins must wield a degree of independence (in providing advice and implementing policy), but must also serve, with equal commitment, successive elected governments. It’s a question of balance. Some mandarins have been “highly critical of the excessive shifts in the 1990s and early 2000s … towards responsiveness and away from those values that emphasise independence”, as Andrew Podger has argued. Others, such as myself, continue to believe that the advice we provided in confidence remained professional, impartial and — as necessary — robust. In Canberra, this large question is often narrowed to a debate on the changes introduced to secretaries: dispensing with the term “permanent head” in 1984; the introduction of fixed-term contracts in 1994; and the subsequent confirmation that contracts could be terminated when they had lost the confidence of government. Partly as a consequence, the term of a departmental secretary is likely to be shorter than in the past, and more at risk; compared to elsewhere in the Westminster world, they now retain their positions at the pleasure of the Prime Minister. Does that make mandarins more cautious or respective to political direction? Does it cause them to be fearful and compliant? Critics, particularly in academia and the media, believe so. In contrast, I have argued that the ability to provide frank and fearless advice is more a matter of personal conviction and courage than contract and remuneration. Mandarins are themselves divided. Podger, for example, remains persuaded that secretaries’ behaviour is likely to be weakened by the fact that their employment conditions have become more similar to those of a private sector CEO. I disagree. Indeed, there has been a very public debate between past and present public service commissioners. In my defence, I call the expert witness, James Button. Button worked in Prime Minister and Cabinet in 2009-10, after I had left. He found that senior public servants were always explicit about the need to maintain the independence of their advice. It was a badge of pride. As he writes in his 2013 book Speechless, he watched the deputy secretary “carefully mark out the limits of the Department’s advice — ‘That’s for you to decide, not us’ — when the PM’s adviser began discovering the politics of an issue”. Neutrality, he concluded, remained a cornerstone of faith, infused across the public service hierarchy. At least within the APS, mandarin power continued to reign supreme. Button could not “overstate the velvety power of the word ‘secretary’ … the title spoke of the unchanging position to which [the] ultimate loyalty [of public servants] was owed”. Certainly I am convinced that modern employment conditions have not constrained the power of the mandarins nearly as much as the other changes in the mandarins’ working environment. The provision of policy advice is now subject to far more scrutiny than in the past. Senate estimate committees were introduced from the early 1970s. Almost alone among my colleagues, I rather enjoyed being subject to questioning. I found the attempts by opposition senators to extract sensitive information to be almost a form of parliamentary theatre. I don’t want to exaggerate the drama. To the casual observer, just as little happens most of the time as in a 14th century Japanese Noh play. There’s always the chance, however, of an unexpected revelation. For that reason, perhaps, the questioning of mandarins on their administrative performance is now routinely broadcast on Foxtel’s A-PAC channel. This enhanced parliamentary scrutiny has been complemented by administrative review. Since 1982, Commonwealth documents have been open to the rigors of the Freedom of Information Act 1982, the provisions of which were strengthened in 2009 and 2010. FOI is a good thing. It clearly enhances the transparency of policy advice, administrative decision-making and government service delivery. It enables citizens to challenge the manner in which they are treated. The question is whether it can also constrain the content, form and mode of presenting advice. Certainly many mandarins of the past strongly opposed the introduction of the FOI Act for such reasons. Perhaps they foresaw how difficult it would become to maintain confidentiality under pressure from an expansive judiciary. The recent review of the FOI Act by a former mandarin, Allan Hawke, found that such concerns still remained, even 30 years on. Some respondents argue that the exemption of deliberative processes from scrutiny fails adequately to protect the wider range of written briefing papers that public servants prepare. They worry, Hawke reported, that “the possibility of public disclosure limits the capacity of officials to provide comprehensive advice to ministers”. I know how they feel. I was surprised to discover that the “conclusive certificates” I had relied upon to protect some documents (incorporating policy advice on the 1998 waterfront dispute) from the FOI Act were not adjudged conclusive when the matter was taken from the Administrative Appeals Tribunal to the full Federal Court. Indeed, the long-running case of Shergold v Tanner has become a significant footnote to textbooks on Australia’s administrative law. As the conscientious student soon discovers, in most legal regards the mandarin lost convincingly. It is not just the FOI Act that makes things harder. There exists a panoply of administrative review mechanisms, including since 1976 the investigative powers of a Commonwealth Ombudsman (enhanced by the Public Interest Disclosure Act 2013). These mechanisms mean that the actions of mandarins have never been more open to scrutiny. Yet the public, and more particularly the media, still think too much advice is provided behind closed doors. In contrast, public service mandarins wonder if the confidentiality of their counsel may be weakened by too great an openness and, consequently, that the tone of their advice may become more cautious and circumspect and (by some definitions) “political”. Partly, too, the question of the mandarins’ ability to influence ministers relates to the role now played by political advisers. “Staffers” were first introduced at a state level by premier Don Dunstan in South Australia, and at the federal level by Gough Whitlam. The Commonwealth’s Members of Parliament (Staff) Act 1984 created a class of advisers employed outside the public service. The ability of this group to influence ministerial direction, or at least to act as gatekeepers to the ministers they serve, is often perceived as weakening the authority of mandarins and pressuring them to be more responsive to political direction. I’m not so sure, and have broken ranks with many of my erstwhile colleagues who complain that they now find themselves undermined by “the boy scouts in the minister’s office”. They don’t like being second-guessed by advisers who are still “wet behind the ears”. I empathise. Yet in my heart I think the policy advice of mandarins should be challenged. In his book Australia’s Mandarins: The Frank and the Fearless, Patrick Weller has an each-way bet, suggesting that it “is difficult to argue that contests for ideas are necessarily harmful to government”. I suspect that many mandarins, serving or retired, would view this position as too pusillanimous in its implied criticism of advisers, although elsewhere, Weller condemns staffers as “the black hole of government”. In contrast, I perceive Weller’s conclusion as too weak a statement of the benefits of countervailing ideas. I see ministerial advisers as a vital part of political life, with the power to instigate policy, to comment upon it and, on occasion, to veto it. Their contribution can add real value to discussion of options. Indeed, the presence of advisers allows mandarins to be robustly non-partisan in their advice, knowing that those in the minister’s office are there to worry about the political challenges it may present. In From Postbox to Powerhouse, Weller is also aware of how much harder the mandarins’ role has become as a result of the “constant pressure to feed the demand of 24-hour news channels, [which] require instant responses”. As processes of policymaking have become more frenetic and governing more complex, so the pressure on mandarins to provide instant advice has increased. I felt harried when I needed to respond immediately and continuously to the media as it brayed for the resignation of governor-general Peter Hollingsworth; or to successive revelations of bribery by the Australian Wheat Board in Iraq; or to questions on whether the Australian government should have had forewarnings of the Bali bombings. These are the occasions when I felt most exposed as secretary of PM&C. Like any mandarin in similar circumstances, I was all too aware that I had limited information at a time when I was expected to provide answers. In 2002, I was called to the Prime Minister’s Office, and asked by John Howard to take the role of his departmental secretary. He indicated that I had been chosen as the person best able to give administrative effect to the policies his government had been elected to implement. I willingly accepted the role, clear that I would actively seek to influence policy but, equally importantly, that I would do all I could to ensure that decisions, once made, were delivered on time, on budget and to the government’s expectations. That ethos, indeed, underpinned my motivation in establishing a Cabinet Implementation Unit in PM&C. I was regarded as a “can-do” secretary, and saw it as part of my role to explain policy decisions publicly (which could, of course, easily be perceived to be spruiking their virtue). In my attempt to drive a whole-of-government approach to delivery I was, as Howard recognised in his biography, “a consummate public service networker”. The question is whether that means that, selected for conscientious display of these managerial qualities, I was “politicised”. If my predecessor at PM&C had not retired, but had been removed or terminated in order to be replaced by me, would that have represented “politicisation”? I am not persuaded. If senior executives are always selected on merit, on the basis of criteria such as strategic ability and conceptual capacity, why is it political if mandarins are chosen on a similar basis? I cannot conceive that it is political for a minister to indicate that they want a secretary with — for instance — strong subject knowledge, a record of implementation achievement, effective organisational leadership, an ability to operate under pressure and good people skills, even if it requires the replacement of a secretary not seen to possess such qualities. Choosing secretaries on the basis of managerial capability is not, in my judgement, political. Nor is the termination of their contract when a minister does not believe them able to demonstrate such qualities. This is an extract from Peter Shergold’s chapter “Mandarins” from The Craft of Governing, a collection of essays on the contribution of Patrick Weller to Australian political science. It is edited by Glyn Davis and R.A.W. Rhodes and available through Allen & Unwin. 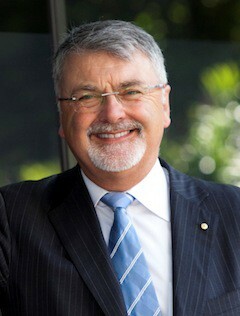 Peter Shergold is chancellor of the University of Western Sydney. He was secretary of the Department of the Prime Minister and Cabinet between 2003-2008. He has been secretary of the Department of Employment, Workplace Relations and Small Business and the Department of Education, Science and Training, CEO of the Aboriginal and Torres Strait Islander Commission and Comcare, and commissioner of the Australian Public Service Commission. What’s in store for online privacy and data management?